The rapidly growing field of health informatics is at the very heart of the modern health care system. The availability of huge amounts of data provides a unique opportunity to deliver dramatic impact on care, outcomes and cost effectiveness. 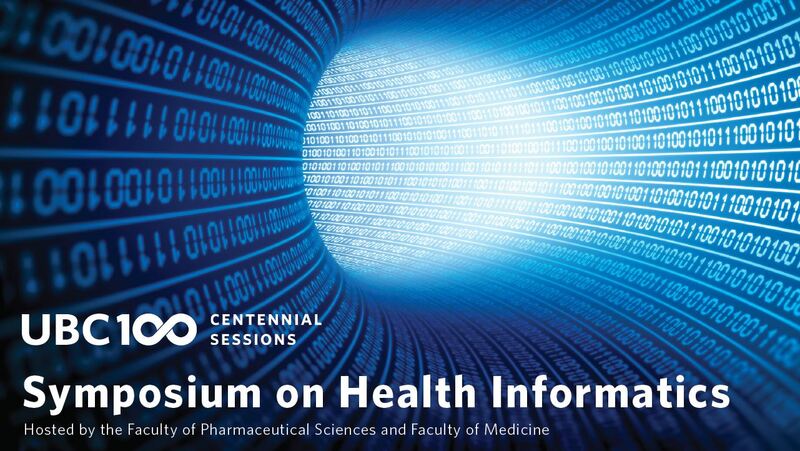 The University of British Columbia’s Faculty of Pharmaceutical Sciences and Faculty of Medicine invite you to attend an engaging UBC Centennial Sessions symposium featuring leading international experts in the innovative use of health system data. Andrew Morris is Professor of Medicine, Director of the Usher Institute of Population Health Sciences and Informatics and Vice Principal of Data Science at the University of Edinburgh, having taken up position in August 2014. Prior to this Andrew was Dean of Medicine at the University of Dundee. He is seconded as Chief Scientist at the Scottish Government Health Directorate which supports and promotes high quality research aimed at improving the quality and cost-effectiveness of services offered by NHS Scotland and securing lasting improvements to the health of the people of Scotland. Andrew’s research interests relate to the application of informatics to study the epidemiological and molecular aetiological basis of diabetes and its complications. He has published over 300 original papers, attracted over £50million in grant funding and was the principal investigator of the Wellcome Trust United Kingdom Case Control Collection for Type 2 Diabetes that has recruited 20,000 individuals and Generation Scotland, a study of the genetic health in 50,000 Scots, and the Wellcome Trust funded Scottish Health Informatics Programme (SHIP). He was awarded the RD Lawrence Award by Diabetes UK in 2003 and the Arnold Bloom Lecture 2013, the Saltire Society Scottish Science Award in 2005 and is a Fellow of the Royal Society of Edinburgh, Scotland’s national academy of science and letters, and Fellow of the Academy of Medical Sciences. In 2007 he co-founded Aridhia Informatics that now employs over 70 people in Scotland and uses high performance computing and analytics in health care, with deployments in the UK, Middle East and Australasia. Andrew is a Governor of the Health Foundation, a leading UK charity that supports quality improvement in health care. Andrew also chairs the Informatics Board at UCL Partners, London. UBC STUDENTS: Use this link to register and receive free admission. For more information, email jocelyn.beretta@ubc.ca.